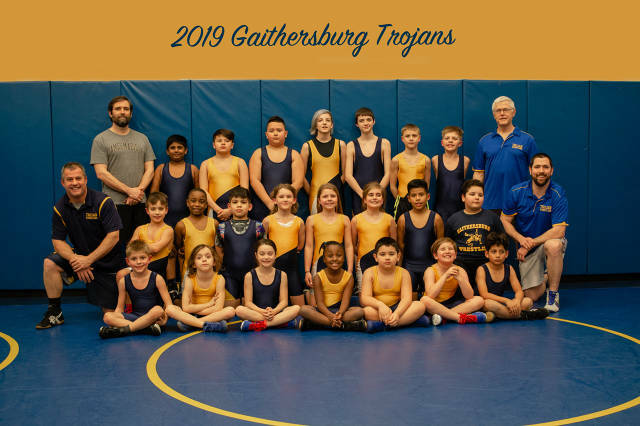 Gaithersburg Sports Association (GSA) sponsors an instructional (intramural) wrestling league with emphasis on sportsmanship, fun, and learning basic wrestling skills. Wrestling season for our league starts in November and goes through February. In November 2018 we will begin our 31st season. Anyone between 7 and 14 years old is eligible to participate in intramural wrestling. Beginners are welcome. We will teach you how to wrestle. If you have any questions, please call Bob Christin at (202) 361-5514 or email bob_christin@hotmail.com. Wrestlers should wear T-shirts, gym shorts, and sneakers or wrestling shoes to practice. Whenever school is cancelled for bad weather, there is no practice. Also, there is no practice when school is out over the winter break. Otherwise, we will have the same twice weekly practice schedule through the third week in February, when the season ends. Parents are always welcome and encouraged to watch practice. Please don't wear street shoes on the wrestling mat, though. Our team will compete in wrestling meets with other intramural-level teams on weekends in January and February. 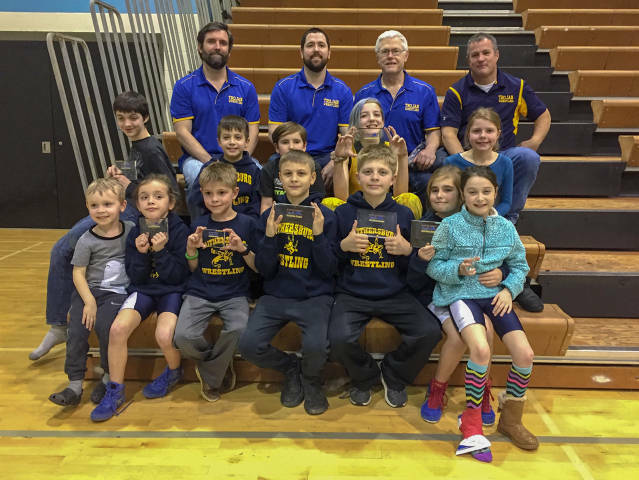 Meets are sponsored by the Montgomery Youth Wrestling League (MYWL) and will be held at Whitman High School in Bethesda. 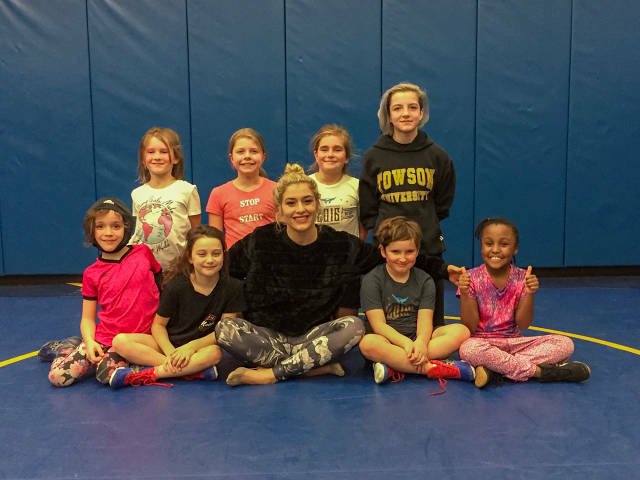 Wrestlers will also be encouraged to compete in several novice tournaments that are held in our area during the season. There will be a tournament for all the teams in our league on the third weekend in February. Once the season begins, you can view a complete schedule of events by clicking on the Calendar link on the left side of this page. We start accepting registrations for the coming season after Labor Day. You can download and print a registration form by clicking "handouts" on the left side of this page. Mail the completed form and a check for the registration fee to: Bob Christin, P.O. Box 360, Washington Grove, MD 20880. The registration fee is $130 for the season (with a maximum fee of $260 for families with more than one wrestler). Checks for registration should be made payable to Gaithersburg Sports Association. 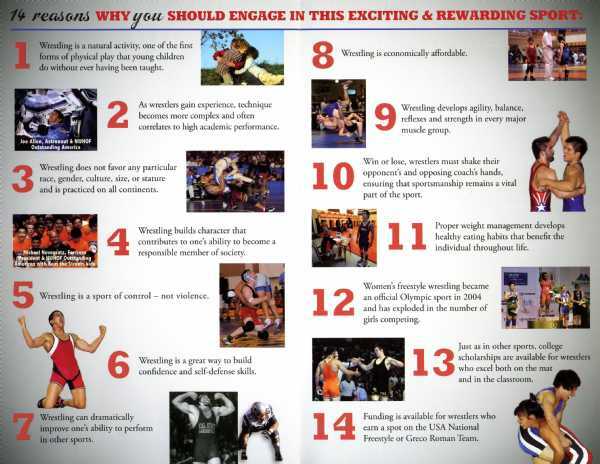 Wrestlers will need to join USA Wrestling, the national governing body for wrestling in the United States. The membership card is required by the league for insurance. You can buy a "Limited Folksyle" membership card for $15 from the USA Wrestling website at https://www.usawmembership.com. We will supply a wrestling uniform and headgear to be returned at the end of the season. Wrestlers need to bring their own shoes (though we do have a limited supply of used shoes). You can buy wrestling shoes at most sporting goods stores, though they may have a limited number in kids' sizes; so it pays to get there early in the season. You can also get shoes online. There is no reason to buy the more expensive shoes since the kids outgrow them in a year. (We are grateful for any contributions of wrestling shoes you have outgrown. We'll pass them on.) If you don't want to buy wrestling shoes, you can use ordinary tennis shoes,but please keep them only for wrestling. To keep the mat sanitary, street shoes should never be worn on a wrestling mat. Wrestlers weigh in during the first week of December before the beginning of competition and again just before the February tournament. These are our only two weigh-ins. If you enter a non-league tournament, though, that tournament will have its own weigh in. GSA wrestlers are not encouraged to lose weight. In our MYWL league competition, wrestlers are matched up based on their age and weight. Click on “Handouts” on the left to see the age/weight class codes. 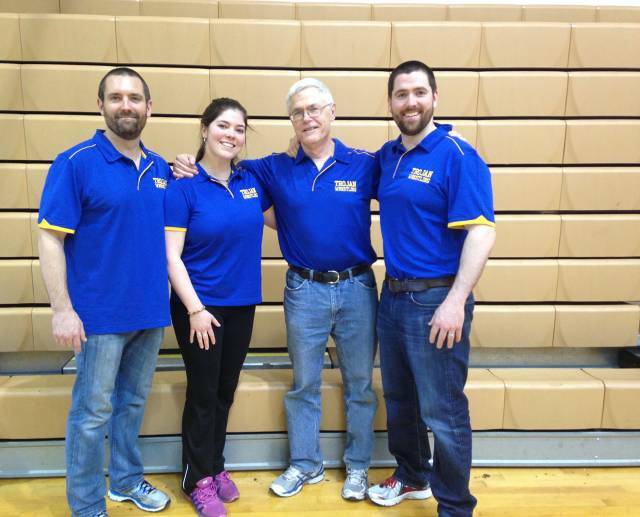 Maryland State Wrestling Association (MSWA) sponsors tournaments for first, second and third year wrestlers. These tournaments are an excellent chance for new wrestlers to compete against others of the same age and experience. Wrestlers are put in groups of four and wrestle a round robin; so everyone gets three matches. Groups finish about two hours from the time they start. Tournament information will be posted under "Handouts" to the left of this page. Also, D C Hustle & Muscle Mat Club has Friday practices from 6:30 to 7:30 at St. Albans in the District of Columbia through June.